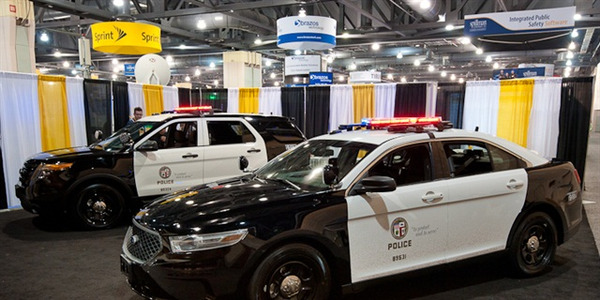 The arrival of new vehicles in the police market is forcing the law enforcement agencies that test police vehicles to rethink their approach, which was initially designed for gasoline-powered sedans, and is now being used to evaluate a full-size pickup truck and gasoline-electric hybrid sedan. 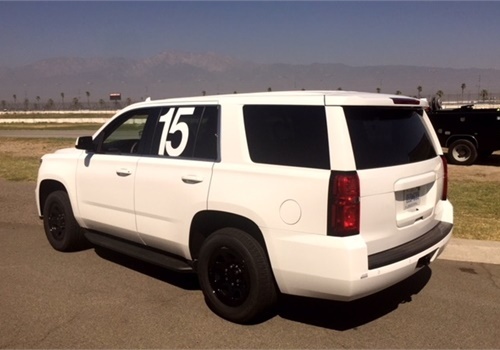 The Los Angeles County Sheriff's Department conducted its annual evaluation of 2018-model-year police vehicles from Oct. 10 to 13. 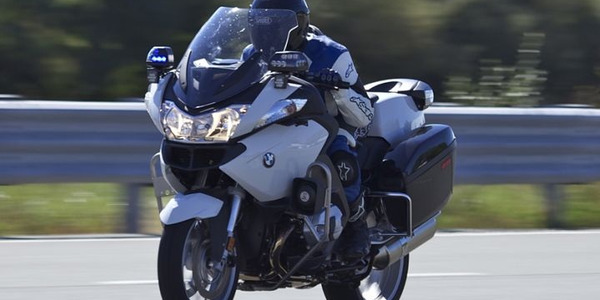 Agency deputies got behind the wheel of 13 four-wheel vehicles and five motorcycles for the testing, which followed annual testing by the Michigan State Police in late September. 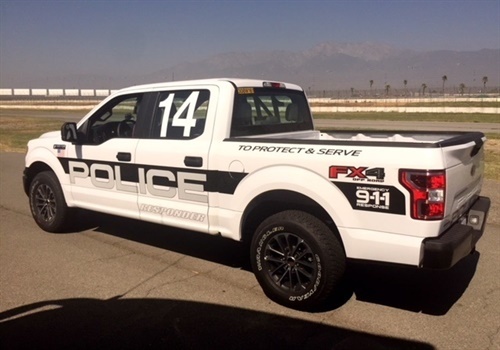 Ford's Police Responder Hybrid Sedan and F-150 Police Responder pickup joined four Ford Police Interceptor sedans, two P.I. 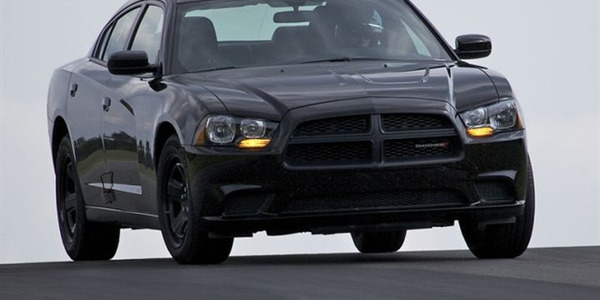 Utility SUVs, two Chevrolet Tahoe PPVs, and three Dodge Charger Pursuit sedans. 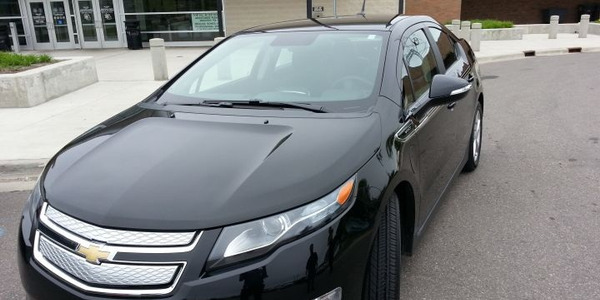 Ford's hybrid sedan (that's based on its Fusion Hybrid) could be the first of a wave of electrified models offered to agencies, especially in California in cities with elected officials who want to send a green message to their constituents. 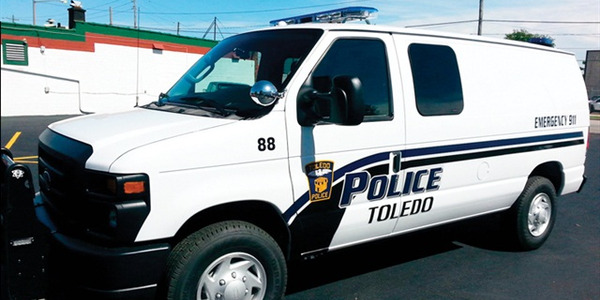 And agencies have been seeking a pursuit-rated pickup truck, said Max Thomson, the supervising contract program manager who runs the testing for the sheriff. "This is the future of the testing," Thomson said. "We're finally moving into a pickup truck that is going to be pursuit rated. That's big. A lot of agencies across the country are looking at this. On the Fusion side, being in California, big gains for us. Everybody wants to go electric, everybody wants to be greener. 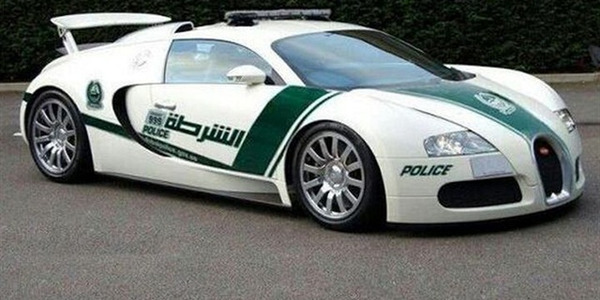 Let's bring in these hybrids and put them out there. 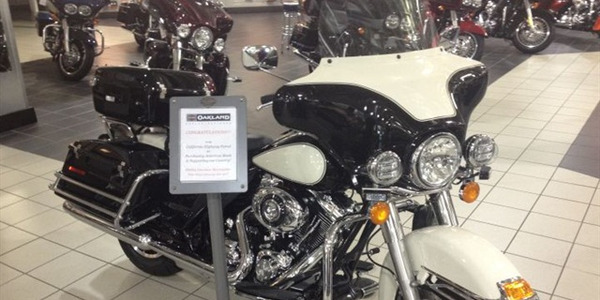 This test will be the baseline for the manufacturers." Thomson expects additional electrified vehicles in the coming years. 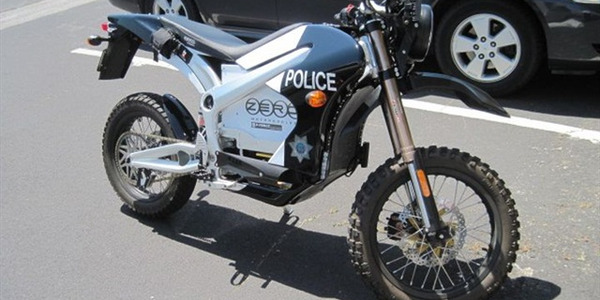 Testing protocol may need to be modified for these alternative-power vehicles. 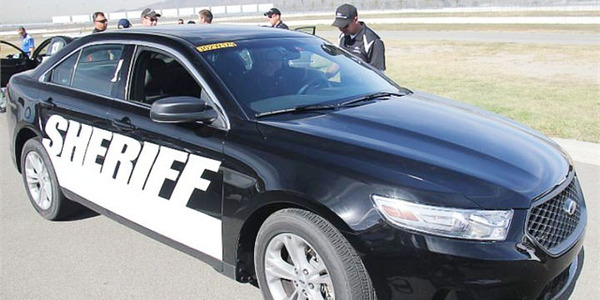 This year, the sheriff tested the vehicles on a 32-lap high-speed road course with a few turns. 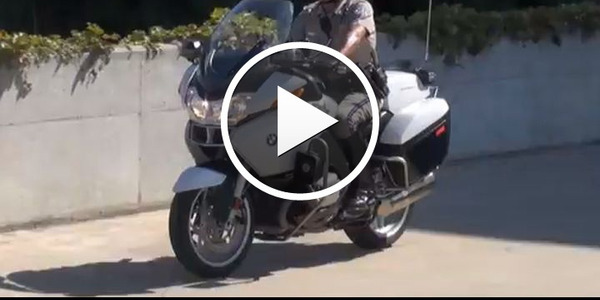 Deputies drove each vehicle for eight laps with a five-minute break for a driver switch. 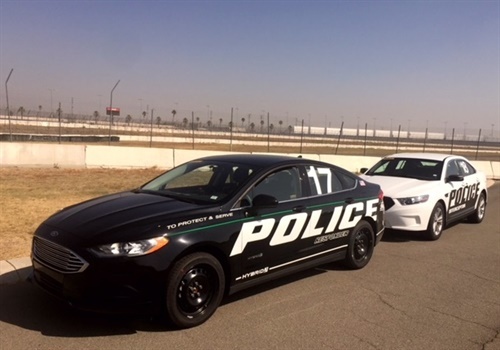 The vehicles were then taken for brake testing that included four 80-to-zero mph panic stops, two 60-to-zero mph stops, and one 60-to-zero mph stop with short breaks in between. Electrified vehicles would likely not be able to complete the 32 laps because the battery charge couldn't be sustained for that distance. "We may not do a full 32-lap session on an electric vehicle," Thomson said. "We may cut it back to 16 or 20 laps. That way we can take advantage of the charge that's in the vehicle. We can't charge it between sessions, so we may have three sessions. These are all unknowns to us." 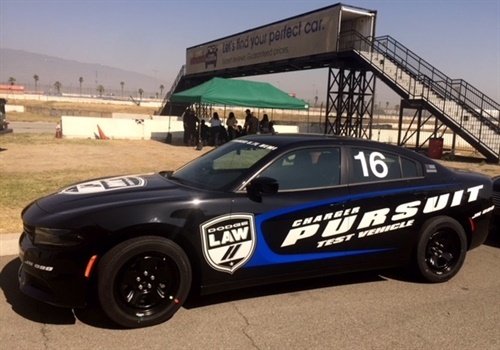 The L.A. County Sheriff's testing takes a more aggressive approach to testing than its sister agency in Michigan, because the vehicles aren't allowed to cool off between runs, and the brake testing is done when the wheels and tires are already hot from the high-speed laps. 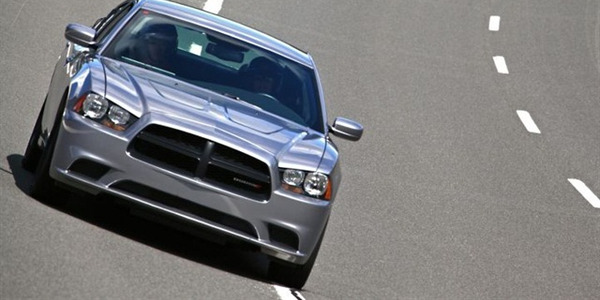 In Michigan, the brake testing is done first. 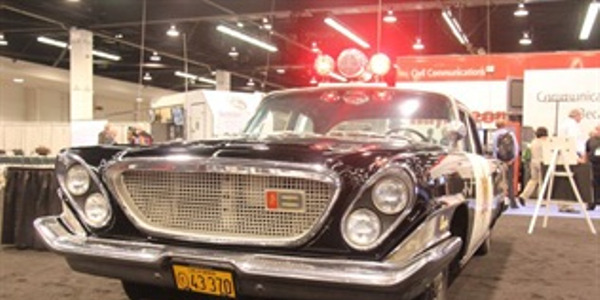 Southern California temperatures also tend to reach up to 100 degrees Fahrenheit, and the air conditioning in the vehicles is running a medium fan. The deputies also do extensive ergonomics testing. Dodge didn't test its pursuit Durango, which it brought to Michigan and is considering for the 2019 model year. 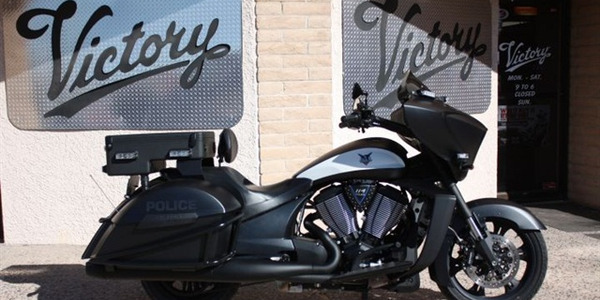 In addition to the four-wheel vehicles, deputies also tested five motorcycles, including the BMW R1200RT-P, Yamaha FJR 1300, Harley Davidson FLHP Road King, Harley Davidson FLHTP Electra Glide, and Honda ST 1300-P. 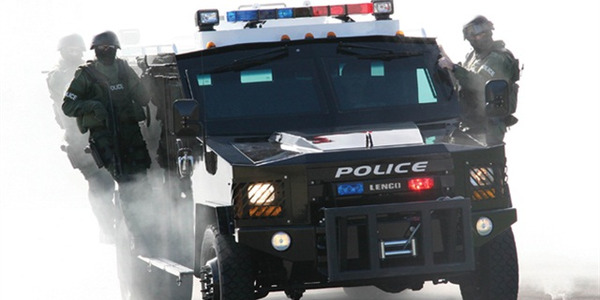 This originally appeared on the Government Fleet website. 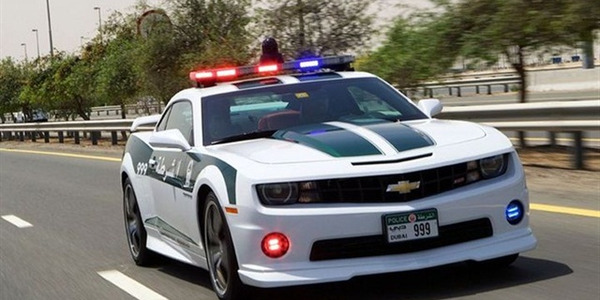 After recently introducing a Lamborghini to its fleet, the Dubai Police force has added the Chevrolet Camaro SS to its fleet, a first for a police organization in the Middle East, General Motors announced.